This is a work of fiction. All names, characters, places, and incidents are the product of the author’s imagination. Any resemblance to real events or persons, living or dead, is entirely coincidental. My heartfelt thanks to Dan McCall, Maureen McCoy, Lamar Herrin, and Kyoko Uchida for their insightful comments and suggestions about this book. Thanks also to Stephanie Vaughn for her unbending support; Alison Lurie for providing an office and refuge; Morna Pixton for her lucky table; Patsy Cox for always believing; Johnny Temple and the folks at Akashic for their enthusiasm and commitment; and Jennifer Gilmore for raising the bar. Paradise Transformed: Los Angeles During the Second World War. Finally, I want to express my deep gratitude to Lauren Sanders. Had she not shown up on my doorstep in L.A., needing a place to crash, this novel might never have found a home. OW, THE old neighborhood is feared and avoided, even by the people who live there. 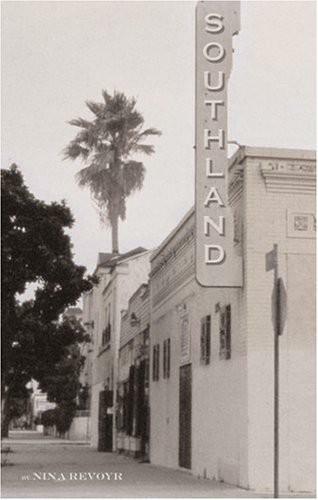 Although stores wait for customers right down on the Boulevard, people drive to the South Bay, or even over to the Westside, to see a movie or to do their weekly shopping. The local places sell third-rate furniture and last year’s clothes, and despite the promises of city leaders in the months after the riots, no bigger businesses, or schools, are on their way. A few traces of that other time remain—a time when people not only lived in the neighborhood, but never chose to leave it. And if some outsider looked closely, some driver who’d taken a wrong turn and ended up on the run-down streets, if that driver looked past the weather-worn lettering and cracked or broken windows, he’d have a sense of what the neighborhood once was. The grand old library’s still there, and the first public school, with a fireplace in each of the classrooms. The Holiday Bowl’s still open—although it closes now at dusk—where men came in from factory swing shifts and bowled until dawn. There are places where old train tracks still lie hidden beneath the weeds, and if the visitor knelt and pressed his ear against the dulled metal, he might hear the slow rumble of the train that used to run from downtown all the way to the ocean. Now, the children feel trapped in that part of the city, and because they’ve learned, from watching their parents’ lives, the limits of their futures, they smash whatever they can, which is usually each other. But then, in that different time—the neighborhood even had a different name—Angeles Mesa was a children’s paradise. It was table land, flat and fertile, and the fields of wheat and barley made perfect places for young children to hide. The older children borrowed their fathers’ guns and hunted rabbits and squirrels, because the Mesa was part of the growing city only in name; everybody knew it was country. The children’s parents loved the neighborhood, too. The ones who grew up in cities—either there in California, or in the dark, damp states of the Midwest and East—loved the space of the Mesa, and the fresh air that carried the scent of jasmine in spring and oleanders in the summer. The ones from the South couldn’t believe they’d found a place with the ease and openness of home, but only a train ride away from their downtown jobs. It was a train that had brought them in the first place. The Chamber of Commerce sent an exhibit train to tour around the country, passing out oranges and pictures of palm trees to anyone who’d take them. Hopeful newlyweds, coughing factory workers, old sharecroppers with hands hardened by years of labor, all bit into the sweet juicy oranges and thought they tasted heaven. And the oranges were magical, because instead of quenching people’s appetites, they fed them. That yearning and anticipation started out in their taste buds, and worked down into their hearts and stomachs until they grew teary-eyed with want. In Ohio, Mississippi, in Delaware and Georgia, you could see people trailing “California on Wheels,” stumbling down the track after the slow-moving train as if they’d follow it all the way across the country. And they did. Maybe not that day, not that season, not that year, but they did. Packed up their things and arranged for someone else to send them on. Gathered the family and headed out to California. Some of them went to Long Beach, seeking work in the bustling shipyards, or to Ventura, to draw their livings from the sea. Some went to San Fernando to be closer to the oranges that first seduced them, and some to the Central Valley to pick lettuce or grapes. And a few of them, after living someplace else for a year or several, after starting out in Little Tokyo or South Central or following the crops around the state, bought a plot of land in Angeles Mesa. The price was good, and what you got for it!—rich land nestled by wild hills. And if their neighbors spoke a different language, wore a different color skin, here—and only here—it didn’t matter. Whatever feelings or apprehensions people had when they came, they learned to put them aside. Because their children played together, sat beside each other at the 52nd Street School. Because it was impossible to walk through the neighborhood without seeing someone different from you. Now, even the All Are Welcome Church has steel bars over its windows, and half the storefronts stand empty and deserted. The strawberry fields and orchards are all buried under concrete, and lifelong residents won’t leave their houses after dark. Those with the money but not the heart to leave the neighborhood completely cross the Boulevard and move into the hills. They never come down now, never stop at Mama’s Chicken and Waffles or Otis’s Barber Shop, which is closing, in its fortieth year, for lack of business. But then, in that other time, which wasn’t really so long ago, the corner market could not keep its shelves stocked, or the Kyoto Grill cook enough food, or the Love Lifted Me Church on Crenshaw (which is actually on Stocker) make enough space to accommodate the faithful. And even as the area changed and grew—even as the Boulevard burst with commerce and people— the flavor of the Mesa didn’t change. It was always country-in-the-city, but with a central place to gather. And since the Mesa had everything—food, bowling, church, and friends; not to mention trees, game, and a backdrop of hills—there was never any reason to leave. If a visitor had come through in 1958, he might have closed his eyes, and, listening to the voices around him, thought he’d taken a wrong turn and ended up in Texas. He might have walked into Harry’s Noodle Shop and mistaken the town for Little Tokyo. He might see a group of men just released from the Goodyear plant, crowded around a radio and listening to a ball game. They’d be sitting on milk crates in front of a market owned by a young Japanese man, a veteran, who’d worked there since he was a teenager; who hired local boys himself; and who’d heard so many of his customers’ stories he could almost forget his own. The people who lived there, the people who laughed and drank and listened to the Dodgers, didn’t know they were unusual. They didn’t know that their disregard for rules observed outside the Mesa made them exceptions, and their example did not stand. Now, if that lost driver went through certain parts of the neighborhood, he would still see a few of the elderly residents— Japanese and black—in a place the rest of the city dismisses as ghetto. But their children and grandchildren, and their friends’ children, too, have moved elsewhere to build their own lives. In the city where history is useless and the future reinvented every day, no one has any need for game you hunted and cooked yourself; for berries stolen off the vine; for neighbors in pairs and threesomes sitting on stoops with cups of coffee, faces lifted to accept the morning sun. No one thinks about the neighborhood, its little corner market. No one, including the children of the people who lived there. the Estates, not outside of them, so she didn’t see why the guards were so concerned with visitors. Jackie, who’d grown up on the quiet, tree-lined streets of Torrance, could never get used to this haphazard clump of dingy, tan, threatening buildings. Some clever developer had named the complex after Scarlett O’Hara’s plantation—which was, it turned out, not in Georgia at all, but instead had been built right there in Culver City, on the old RKO Studios lot just a mile away. The security guard was a bulky young Latino man, and as he leaned down out of his parking hut, he stared at the pass he’d just filled out himself as if seeing for the first time what was written there. He nodded, and then pulled himself together, finally giving Jackie her pass. “I’m sorry. I mean, you’re family. And Miss Sakai, too. I guess I have no right. But it was just a surprise is all, and Frank…” He trailed off. Her words sounded empty and false to her, but they seemed to work for Tony. He nodded resolutely, gave his condolences, and then raised the gate so she could drive into the complex. And Jackie thought, not for the first time, that her ability to comfort people revealed a deficiency on her part, not a virtue. It is only those who aren’t totally shattered by a loss who can comfort the others, who are. Lois, who’d stopped a mugging the previous fall by telling the three young would-be thieves that they were shaming their families; who’d once pulled a dying child out from under the wheel of a bus and held him while his mother fainted, had completely fallen apart at the death of her father. She’d collapsed in on herself—she wouldn’t eat, would hardly talk, and she shivered no matter how warm it was. For the first time in her life, someone else—mostly Ted—had to watch after her and make sure she ate. All of this while Jackie made continual check-up phone calls, and while her mother Rose, Lois’s sister, took care of all the funeral logistics. Tony was right—her grandfather’s death had been completely unexpected. At seventy-one, he’d still been in seemingly perfect health—he walked every day, ate lightly and well, and did repair jobs all over the neighborhood. With his tight, lean body, handsome grin, and just-graying hair, he’d looked twenty years younger than he was. The day he died, he walked a mile to an old widow’s house to cut her overgrown front lawn. It was she who placed the call to 911 an hour later when she found him, laid flat out behind the idling mower. Jackie parked her Accord in a visitor’s spot, and then, sighing heavily, she walked up to her aunt’s apartment, the last place she’d seen her grandfather alive. They had been close once, when she was much younger and had needed watching because her parents were so busy—her father practicing medicine and teaching at Cedars-Sinai; her mother going to medical school and then vanishing completely into her internship and residency. He’d lived in Gardena then, with her grandmother and sometimes Lois too, and Jackie had spent whole weeks with them when her parents were especially swamped. But then Jackie had gotten older, and her softspoken grandfather had been no competition for the excitements of the social world at school. He’d tried to stay involved in her life, right up until the end—he’d sent her clippings about women lawyers; he’d called her twice a month and pretended not to notice how she rushed him off the phone; he’d even sent her frequent e-mails on the computer her parents had bought him. But more often than not, Jackie hadn’t answered, hadn’t thanked him, hadn’t noticed him much at all. By the time of his death she hardly knew him, and so her sense of loss now seemed shallow and unearned. When Lois answered the door, she had the phone tucked between her shoulder and ear, and she was shaking out a section of the newspaper. She beckoned for Jackie to enter, which Jackie did, taking a seat on the couch. Lois held the paper in one hand now, and gestured as if whomever she was speaking to were standing right in front of her. Jackie was glad to hear her talk like this, even if her aunt’s firm words were undercut by the fact that she was still in her blue plaid pajamas. Jackie had been worried about Lois these last ten days. Her aunt, a strong, brash, stout, stone lion of a woman, had been unusually subdued since Frank died. For the first time in years, she’d even taken time off from her job as head guidance counselor at Culver City High School. She’d lost weight, had to be forced to come to the phone, had been dazed and barely audible when she managed to speak at all. This return to her usual attitudinal self suggested that she was starting to recover. A vague sound of acknowledgment came from the kitchen. Ted was doing the dishes—Jackie heard the clinks of silver against stoneware, smelled the ghosts of burned eggs and onions—and she was sure he wasn’t happy about it. “What’s happening?” she asked, when her aunt turned toward her. Watching her aunt cough a few times, lower the cigarette, and then take another pained drag, Jackie thought that maybe she wasn’t improving after all. “A house?” she repeated, and then she noticed what her aunt had been holding—the real estate section, spotted with circles of red ink, question marks in blue, indecipherable notes in dark green. Lois had put the paper down on the coffee table and now her cat, Winston, jumped on top of it, circling and batting at the billowing corners. catastrophe, but by one of a more personal variety. But Jackie wondered now if the heart attack hadn’t been some delayed reaction to the trauma of the quake. The week before he died—just after the buildings on campus had been declared safe and classes had started up again—she’d come home to find her floor soaked, her carp wide-eyed and lifeless at the bottom of the empty aquarium. The tank’s corner seam had been weakened by the quake; had finally given nine days after it. Maybe some seam in Frank’s heart had been weakened as well, some internal fault line which waited two weeks, until the panic had lessened, to write its own smaller disaster. “But isn’t it kind of soon?” Jackie asked. She didn’t press her on the rest of what she wondered, which was why they were doing this now. For six years, Lois, Ted, and her grandfather had lived in this small, cramped apartment, in this increasingly dangerous complex. It had never seemed strange that Frank had stayed here—when her grandmother died, it was a given that her grandfather would move in with Lois and not with Rose, even though the Ishidas had a huge place up in Ojai now, a four-bedroom house on a lovely five-acre lot. Lois was closer to Frank, always had been, and Rose had been closer to their mother. Now, with Frank gone, she and Ted would have more space—yet Jackie understood immediately why they had to leave. It was strange and awful to sit in this apartment, even for just a few minutes. She kept expecting her grandfather to enter the room, grinning when he saw her. her aunt—as opposed to how she felt about her parents, who were too much like herself. All of their major faults, all the things she’d spent her adolescence railing against—their tension, their rigidity, their inability to deal with strong emotion—she’d inherited right along with her mother’s thin nose and hazel, light-for-a-Japanese-girl’s eyes; and to avoid the reflection, she saw them as little as possible. Lois, on the other hand, was easier to be around—more generous, more interesting, both more intense and also somehow more relaxed. And if Lois was going to leave now, she didn’t know what she’d do. There’d be no one in her corner, no relief. The store. It was one of the many parts of her family’s past that Jackie’s mother had never discussed. Before Jackie, before marriage, before medical school, Rose and the rest of the family had lived in the Crenshaw district, where Frank owned and managed a little corner market. Jackie didn’t know very much about that era—just that they left sometime in the sixties, after the riots down in Watts. As for Crenshaw itself, Frank’s boyhood home, she’d only driven through it—by mistake mostly, and once or twice on purpose, when she was trying to avoid the traffic on the freeway. It was pretty much a black ghetto, as far as she could tell—an image that had only been confirmed by the funeral. The service was held in Culver City at her grandparents’ church, which she hadn’t entered in six years, since her grandmother died. , the local black newspaper. Lois still seemed attached to the old neighborhood, unlike Jackie’s mother, who always grimaced when she spoke of it. And it was Lois, mostly, to whom the mourners expressed their condolences—although some of them smiled at Jackie, too, or spoke to her warmly, gestures of reflected sympathy she knew she didn’t deserve. One thing they made her realize, though, and she was seeing it more and more: Frank had had an existence outside of her, outside of the whole family. All the strangers at the church knew Frank Sakai not as an aging old grandfather, but as an individual with a story, as a man. “I’m sorry,” he said, and sounded it. Ted was a big man, shaped exactly like Lois although a good foot taller, and it was funny to see his strong, wide shoulders fall into an exaggerated slump of remorse. Again, Jackie thought her aunt was doing better; Lois almost smiled at this last exchange. But Ted could do that for her, only Ted. He wasn’t really Jackie’s uncle—he and Lois had never married—but they’d been together for almost twelve years now. And Jackie, after not knowing what to make of Ted at first, had grown to adore him, although her parents still regarded him with a kind of half-benign suspicion. Rose acted like he was a grunting, dirtcaked cowboy, swinging his lasso in their living room, endangering their lamps, and her father, Richard, was more friendly, but still bewildered. The fact that Ted was an engineer for TRW did nothing to improve their opinion of him. They were also displeased with Lois’s living situation, especially after Frank moved in (presumably he’d be offended by his daughter’s scandalous domestic arrangement), although Jackie couldn’t imagine that they’d like Ted much better if he and Lois ever got married. “But the money from the sale…” Jackie didn’t want to ask what had happened to it, because it brought up, awkwardly, the question of the will, which was going to be read that coming Tuesday. Lois clearly caught the drift, though. “I don’t think he left much, but we’ll find out on Tuesday.” Now she and Ted exchanged a glance, which Jackie caught. Oh, God, Jackie thought. There’s going to be a problem. She and Rose disagree about something as usual, and it’s all going to explode over the will. Jackie wanted to ask her what exactly she meant, but Lois was acting so strange, looking at Ted again, that she decided to sit tight and wait. My house and savings shall go to my wife, Mary Yukiko Sakai. My car shall go to my wife. , shall go to my mother, Masako Sakai. My books and photographs shall go to my daughters, Rose and Lois. My baseball cards shall go to John Oyama, Jr.
My jazz record collection will go to Richard Iida. My store, located at 3601 Bryant St., shall go to Curtis Martindale. When she finished reading, she kept staring at the page. This will, this random list, was the kind of thing someone threw together in a panic and then forgot once the moment had passed. Lois, who was afraid of planes, made one every time she had to fly, earnestly telling everyone for days beforehand what she’d bequeathed them in the latest version. Ted, behind her, winked and gave a thumbs-up sign. But her teasing comment missed its mark entirely. “I just figured this out,” Lois said. “He was having an operation to get his appendix removed and, you know, he never trusted doctors after the way they handled his foot.” Jackie thought of the smooth, shortened end of her grandfather’s right foot; it looked as if the toes had been filed down. She remembered his slight limp, the hitch in his step, which might have passed for a jerky strut if he’d been younger. “I don’t think so. Like I said, as far as I know, he didn’t have much to leave. And to answer your question from before, the money from the Gardena house is gone. He gave that and the redress money to Rose a few years back, in order to pay for your law school.” Jackie hadn’t been aware of this arrangement. And it was more evidence of what she had taken from Frank—his attention, his money, his time. He was always there to fix her heater, or to build her a set of shelves. She had given him so little in return. the store from someone in the neighborhood, you know, before he married Mom. Old Man Larabie practically gave it to him, almost as a gift. He was probably just trying to pass on the favor.” Ted began to rub her shoulders, and she closed her eyes and leaned back. And Jackie remembered how interested Frank always was in her friends and their lives; how good he was with all young people. She thought about mentioning Tony, the security guard, but decided against it; his strong response to Frank’s death made her muted one seem even less defensible. told Jackie was that Frank had spent most of his time there. Jackie knew her mother would want to invest the money or put it in the bank, and she, for once, would have to agree with her. Jackie shook her head; she couldn’t believe this. Jackie did. The woman Lois referred to had been crying herself, she was so worked up about Frank. She was a tall, black-gloved woman with neat marcelled waves in her hair, and she’d hugged them both as they entered the church. She’d told them Frank had once found and sheltered her child when she’d run away from home; said it made sense the Lord had called Frank home when he was giving somebody a hand. She’d insisted repeatedly that they should get in touch with her if they needed anything. Jackie fled down the hallway, glad to leave Lois and Ted and the box of money behind. The door to her grandfather’s room was closed. It had never been closed when she’d come over before, and she paused now, standing in front of it, fighting the urge to knock. The cat stood at the end of the hallway, swishing his tail, staring at her accusingly, as if he, too, was aware of how much she’d taken Frank for granted. She wanted to shut him out, along with the questions her aunt had raised and the project she’d been given, so she pushed the door open, stepped inside, and closed it again behind her.